Over memorial day weekend, I had the privilege of helping out a small business in Chesapeake Beach, MD. This little town is quite beautiful! Just sits about 35 miles outside of Washington, DC. Not too far, but enough to get you out of the busy city life. 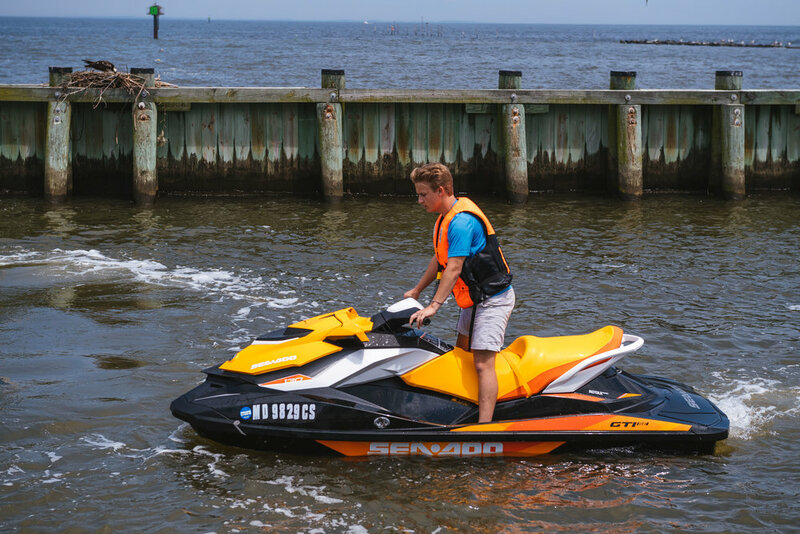 So if you're around Chesapeake Beach, go check out DMV Jet Ski and rent your self one of these unique machines to take you out on the bay and let it rip!